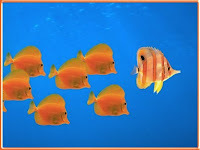 Sales Is Not For Sissies: KeFactors Friday: What Defines a Leader? KeFactors Friday: What Defines a Leader? Since challenging circumstances often need a variety of approaches, a leader is someone who sees and defines what has to be done, and then deploys the most suitable leadership approach so the goal of the mission is served, along with the needs of those who’ll be accountable for providing the solution. A leader may not come up with the answer, but she’ll coach and support the collective search for it. A leader also tracks and observes group dynamics, to make sure people are assigned, included, and given safe forum to work out process problems. A leader likes to execute, to take action, and to evaluate those actions so wasteful effort is eliminated and successful actions studied for repetition and gain. As such, the truly great leaders know to lead by example—perhaps in small acts of civility, such as making sure everyone gets heard, or intervening when tempers are starting to fray. And, like literary heroes, any time a leader goes out on a limb to risk something, he takes what’s been learned back to the group so the lesson can be shared. Whatever benefits the group will not be jealously hoarded by a good leader as evidence of her own value. Great leaders share and spread credit as much as possible. Typically our society has revered single-note leaders with that one winning formula, but as the world continues to change, we need as much versatility of thought and action from our leaders as we see in the diversity of humanity.